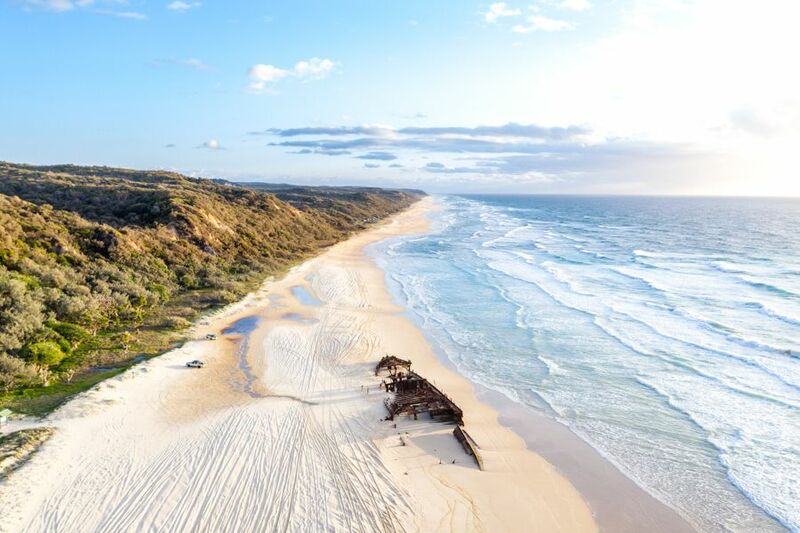 Maheno Shipwreck is Fraser Island's resident shipwreck. It sits on the shore of 75 Mile Beach, where is has lived since 1935. The S.S Maheno suffered a disastrous fate that led her to the shores of Fraser. In a previous life the Maheno operated as a luxury passengers ship, beginning her career in 1905 and chartering guests across from Sydney to Auckland. For about 30 years the S.S Maheno sailed the world, accumulating an interesting resume as a passenger ship and as a hospital ship, additionally cruising the Mediterranean, and Red Sea before being put out of commission. In her final journey from Melbourne to Japan where she was set to be scrapped, a cyclone hit, leaving the Maheno adrift in the ocean. She eventually breached on Fraser Island two days later, where she still remains today. Luckily none of her 8 crew were injured when she was set loose in the sea! In the early days of her residency on the island, there were several attempts to refloat the ship, all of which failed. 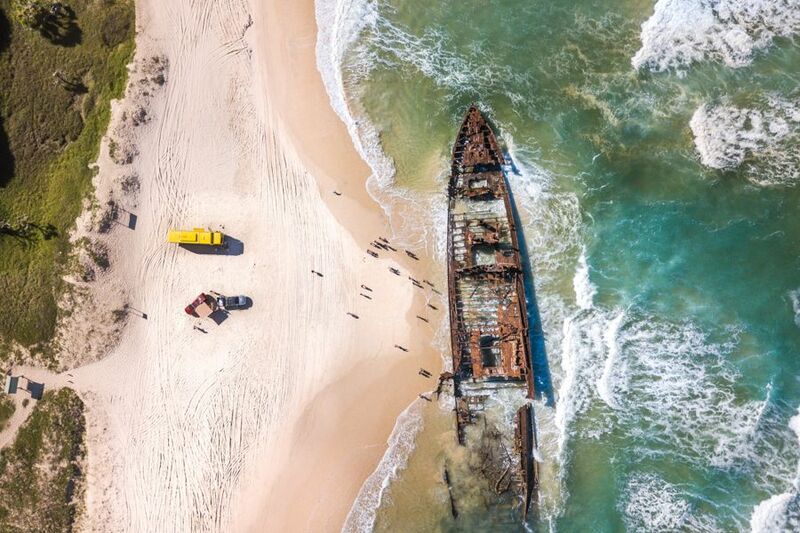 She was eventually abandoned completely and left on the shores of 75 Mile Beach, where she will eventually turn to dust and return to the earth. 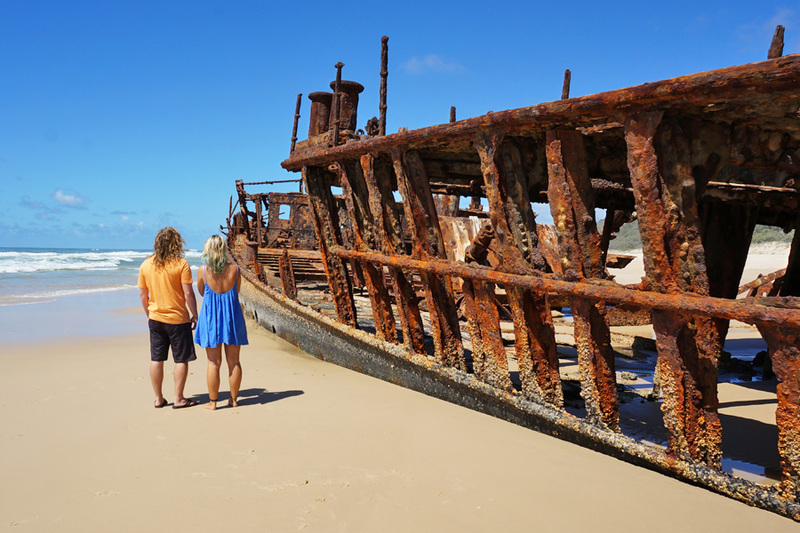 Today the Maheno Shipwreck is an extremely popular destination on Fraser Island. Its convenient location means all visitors must do is pull over to get a good look at the ship. Signage around the wreck warns to not get within 3 metres, as its decay has made the wreck particularly dangerous in recent years. While you cannot get too close, it is still easily accessible and a great photo opportunity and is a must see while on Fraser Island.